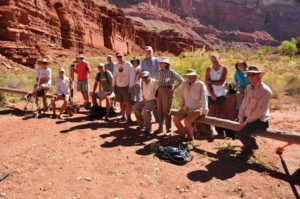 The mission of the Southern Utah Wilderness Alliance is the preservation of the outstanding wilderness at the heart of the Colorado Plateau, and the management of these lands in their natural state for the benefit of all Americans. SUWA promotes local and national recognition of the region’s unique character through research and public education; administrative and legislative initiatives; builds support for such initiatives on both the local and national level; and provides leadership within the conservation movement through uncompromising advocacy for wilderness preservation. In 2016, SUWA launched its Field Service Volunteer Program, inviting the public to join SUWA and regional land managers in the field for reclamation work trips in some of the most beautiful landscapes in Utah. 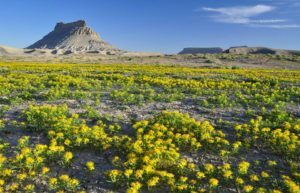 From the San Rafael Swell to the Henry Mountains, experience the wilderness of southern Utah and learn more about the contemporary narratives of our public lands. Contact Jeremy Lynch at volunteer@suwa.org or 631-335-9801 for updates on the 2016 Fall Trip Calendar. Visit SUWA.org and click ACT NOW for more information.